Rainwater is a natural element but imagine the damage it could cause to your property if it’s not directed and controlled by an efficient and properly maintained guttering system. Every home needs good gutters. A well fitted, efficient guttering system collects and diverts rainwater away from the roof, keeping your roof dry and in good repair. If your gutters are cracked or leaky, this can lead to costly repairs to your roof, walls, exterior doors and more. Gutters are installed on the end of the roof at the top of the fascia board and are then attached to a downpipe, which runs down the side of the property into the drain, diverting water safely underground to the drains. Cladfit can supply a variety of guttering systems to suit any type of property either domestic or commercial, with styles ranging from the classic half-round and square-line to highly decorative ogee gutters, which are an attractive sculpted alternative. 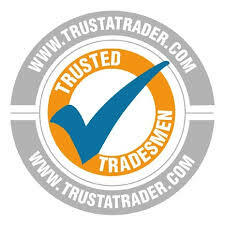 The appearance of your guttering is often a matter of personal taste and we are confident that we have a style of guttering and downpipes to suit every customer’s property. We have a wide variety of colours and styles to suit both modern and traditional properties and all of our styles come complete with a full range of matching accessories and fitting systems. 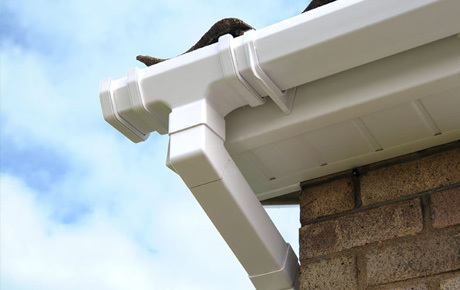 Our UPVC guttering is made of high-impact, high-gloss UPVC for a long-lasting, weather-proof finish and the easy click system makes it both fast and easy to install. Aside from the fact that it’s tough, hard wearing, lightweight, low-maintenance and looks great with a smooth blemish free surface, our guttering comes with a 10 year guarantee, which includes discolouration of the guttering. It’s simple to clean, just needs a wipe as when needed and as our guttering systems have a high water flow rate, less outlets and drainage runs are required. Cladfit supply and install anthracite grey guttering, Fascias and Soffits. These are typically colour RAL7016 to match aluminium doors, windows and bi-folds. We can also offer a complete range of gutters, pipes, and fittings from Flopast in Anthracite Grey RAL7024 and these are compatible with most manufacturers such as Polypipe, Hepsworth, Osma, Hunter, Marley, Brett and Marshal Tufflex. For information on our Anthracite Grey Guttering, Soffits and Fascias, please contact us on 0800 33 454 33. Square guttering is the classic square drain pipe and gutter system, which effectively removes rainwater from the roof into the drain. These gutters tend to have greater capacity and more rigidity than circular gutters. Half-rounded gutters are one are also a common variety of guttering. They are sawn down the middle to leave a rounded bottom and open top, which encourages fast water flow by channelling water to the lowest point of the curve. These gutters are often made of aluminium and are popular due to their ability to blend well with a variety of properties. Ogee gutters are deeper and more decorative, with an increased capacity to deal with large amounts of water flow. The design is based on the box gutter design, which creates more angles for the water to flow to the downpipe. It’s highly decorative look is similar to that of indoor crown moulding and is an added attraction. This style is functional, affordable, attractive and widely produced by our manufacturers. We also stock a range of high capacity gutters and downpipes suitable for larger commercial projects. Cladfit UK can install guttering systems based on the requirements of your property, including high capacity systems suitable for larger roof areas. 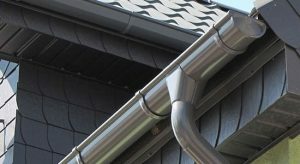 We install effective, efficient guttering and downpipes for all types of domestic and commercial property and we are happy to help you choose the right sort of guttering for your property.